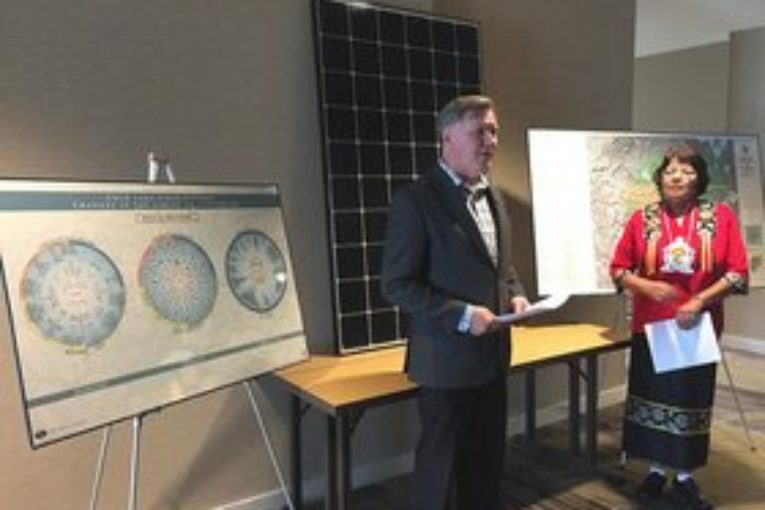 Cold Lake First Nations will install solar energy panels on five of its buildings this fall, cutting its annually utility bill by $6,000 while reducing GHG emissions. Over the 25-year life of the solar panels, the solar project is expected to save the band nearly $150,000 on utilities and reduce more than 1,305 tonnes of GHG emissions. “Climate change threatens our lands, water, fish, plants and ultimately our entire livelihood, and we must all come together to solve the problem,” Cold Lake First Nations chief Bernice Martial said in a statement. The band is investing $50,000 in the project alongside a $200,000 grant from provincial government’s Alberta’s Indigenous Solar Program (AISP). This year up to $35 million is available under the program, which came out came out of two oversubscribed pilots that drew applications from indigenous groups all over Alberta. “Indigenous communities are at the front lines of climate change and want to be part of the solution,” said indigenous relations minister Richard Feehan. A similar sum of $35 million is expected to fund the AISP in the next budget year. Funding is provided to applicants on a first-come first-serve basis, depending on the type of project that is being proposed.